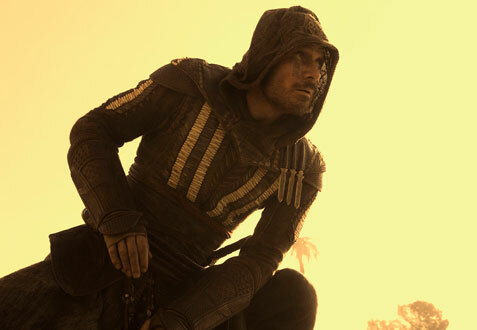 “Assassin’s Creed” is not the video game adaptation that fans have been waiting for. What makes the action film most disappointing is that it comes from director Justin Kurzel, who crafted last year’s visceral adaptation of “Macbeth,” which also starred Michael Fassbender and Marion Cotillard. Kurzel’s latest has style to spare, but it’s missing the soul and emotion from his previous work. Calum Lynch (Fassbender) has just been given a second chance. Michael Leslie, Adam Cooper and Bill Collage’s script opens with the convicted murder on death row. With his last words, Calum says that he’ll meet his father in hell, but instead of dying, he wakes up, disturbed and shocked, in an unknown location and greeted by Sofia (Cotillard), a scientist who wants to rid the world of violence. She informs Calum that one of his ancestors, Aguilar de Nerha, was an assassin in 15th century Spain, and he has the power to relive his memories through a contraption called the Animus. Sofia and her father, Rikkin (Jeremy Irons), are looking for the “apple,” a MacGuffin that will cure people of violence and destroy free will, and Calum and Aguilar’s memories can lead them right to it. Despite the high stakes, most of the film’s events are inconsequential. Calum is a blank slate. We know his terrible past, and he describes his aggressive personality, but there’s little internal life to the character, which isn’t true of most of Fassbender’s performances. The world and the rules are the primary focus of the script, not the characters. In the first act, there’s plenty of information revealed but very little of it regards Calum and why we should care about him and what’s beneath the aggression. The character’s underwhelming attempts at comedic relief don’t help matters, either. This is not a movie with levity, which is fine, but it is strange how a movie with such a wild concept, some preposterous ideas and a cast this great is so joyless. A part of the reason why “Assassin’s Creed” is consistently underwhelming is because the structure is inherently frustrating, particularly in how the story cuts from present day to the more intense sequences during the Spanish Inquisition. Even during the action sequences, the structure becomes a serious issue. When you want to see Aguilar and fellow assassin Maria (Ariane Labed), a character with a striking presence, in action for more than a few seconds, the camera generally cuts to Calum in the Animus – a far less visually interesting environment. Aguilar and Maria are two characters you desperately want to follow, especially when Kurzel, Fassbender and Labed visualize how close their bond is, but only towards the end. Most of the characters don’t express much emotion until the third act, especially Calum. His arc is entirely unearned; it’s such an afterthought even at the start. When we see Calum begin to make choices for himself, it’s not exciting – it’s just calculated. Cotillard plays the most nuanced role. Sofia is a character with internal struggles; she’s forced to question her methods, as well as her father’s. While the audience spends too much of the movie a few too many steps ahead of her brilliant scientist, Cotillard makes some exposition-heavy sequences tolerable and brings a bit of life to the film. She arguably has the toughest and driest role, and she ends up playing the most believable character, despite one third-act choice that rings false. 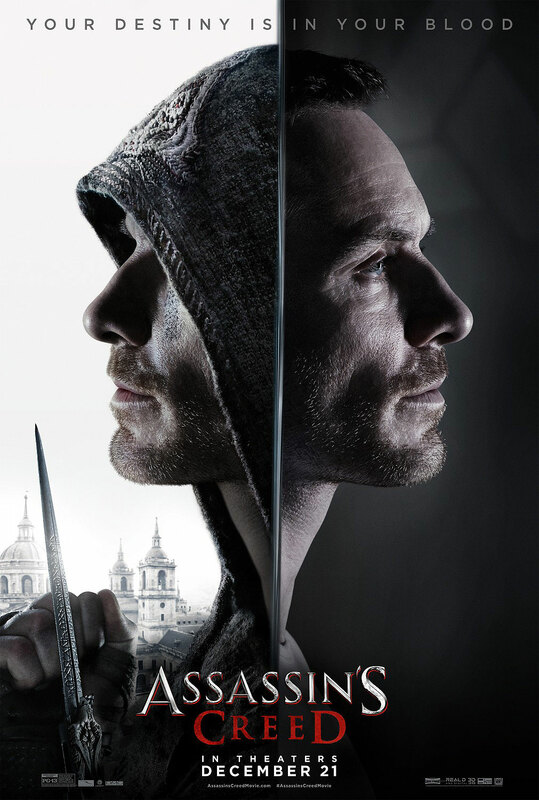 “Assassin’s Creed” is a movie that makes it mostly impossible to suspend disbelief. It asks the audience to accept too much straight-faced silliness. Right from the start, it’s difficult to get onboard with this universe. Kurzel’s attention to detail and skills as a filmmaker are evident, but the carefully crafted environments and appealing locations are too often inhabited by great actors with far too little to do.